The Wraith (1986) is a movie that does not get enough attention, but once you watch it is fun. The Wraith stars Charlie Sheen as a vengeful teenager looking to get revenge on the brutal gang who ended his life for his car. 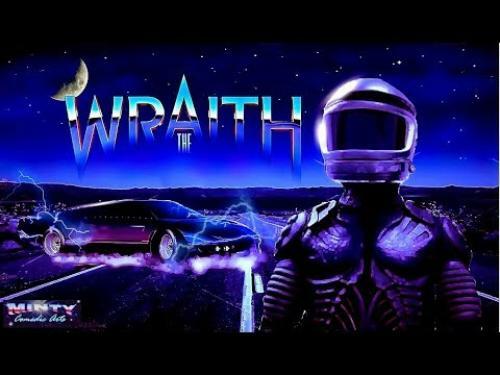 Car races and explosions make the film fun while there is also that mystery of what is the Wraith. Watch the video below as Minty Comedic Arts reveals the fantastic The Wraith facts. Below the video is a brief list of the movie facts. Johnny Depp was considered for the lead but went to Charlie Sheen. Depp was also going out with the female lead Sherilyn Fenn at the time of filming. Filming The Wraith was quick with only 20 days of filming on location. Max Max (1979) and Mad Max 2 (1981)/The Road Warrior (1981) were the major influences for this film. The Hitcher (1986) and Stephen King’s Maximum Overdrive (1986) also came out the same year as The Wraith. The main villain played by Nick Cassavetes went on to direct the romantic film The Notebook (2004). 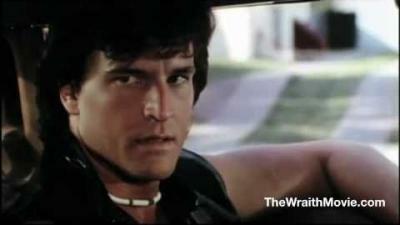 The Wraith has many similarities with The California Kid (1974) and even starred Charlie Sheen’s father, Martin Sheen. 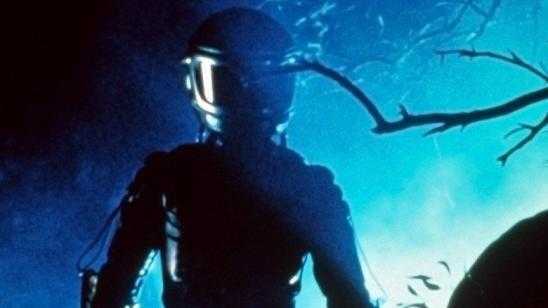 The soundtrack for The Wraith was composed by two composers who specialized in creepy and action 80s music. The Wraith was a financial bomb at the box office and did not clear its movie budget. One movie poster looks like it took inspiration from the Back to the Future (1985) while the other poster features the main villain with the male and female leads giving the impression there are buddies. There was a fatal stunt accident where assistant cameraman Bruce Ingram died while filming a car race mountain scene. Official Synopsis: Packard Walsh and his motorized gang control and terrorize an Arizona desert town where they force drivers to drag-race so they can 'win' their vehicles. After Walsh stabs the decent teenager Jamie Hankins to death for being intimate with a girl whom Walsh wants for himself, the mysterious Jake Kesey arrives, an extremely cool motor-biker with an invincible car. Jake befriends Jamie's girlfriend Keri Johnson, takes Jamie's sweet brother Billy under his wing and manages what Sheriff Loomis can not - the methodical and otherworldly elimination of Packard's criminal gang.